JEE Main Application Form 2018 – The JEE Main 2018 Application Form were available until January 01, 2018. Registered candidates can pay fee until January 2, 2018. It is important to ensure that all details are correct or the application will not be accepted. 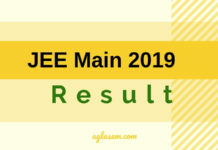 JEE Main 2018 will be held in online and offline mode but the application form was only available online. Candidates needed to submit Aadhaar Number, personal-educational details, furnish images, and pay the fee for JEE Main 2018 Registration. The amount of application fee varies as per category, center and number of JEE Main Papers. Keep on reading to know the JEE Main Registration process, fee details, dates, image specifications, FAQs and more. Check the important dates for JEE Main Registration 2018 from the table below. Image Correction in Application Form: Click Here for JEE Main Application Form Image Correction 2018. Requisite application fee must be paid at the same time. Submit only one, correctly filled application form of JEE Main 2018. CBSE made Aadhaar Card a mandatory requirement for JEE Main since last year. Even this year, candidates will need it to apply. CBSE will validate the details submitted by the candidates with the UIDAI data and school records. During Online Registration of JEE Main 2018, the candidates will have to submit the Aadhaar Number. Candidates not possessing Aadhaar Card will be required to enroll for it and then submit the Aadhaar Enrollment Number in place of it. The Enrollment Number will contain 14 digits along with a slash “/”. JEE Main Aadhaar Facilitation Center – To assist candidates in getting the Aadhaar Card, CBSE has established various JEE Main 2018 Aadhaar Facilitation Center. From there, the candidates can enroll for UIDAI Aadhaar Card. In case the facility to enroll will not be available the candidates will be issued a Registration Number. By entering the number, the candidates will be able to apply. The amount of application fee for JEE Main 2018 is as mentioned in the table below. The candidates should note that the amount of fee will be higher if the candidates will opt for more than one Paper of JEE Main 2018. Click Here to easily calculate the fee amount for your category and paper. E-Challan of Syndicate / Canara / ICICI / HDFC Bank. Note: Additional charges will be applicable. It should be clear, get it clicked from professional. Write it in neat handwriting with Black or Blue pen. Note: The photograph should also have the name of the candidates and the date of capturing it. The correct format for the photograph is as mentioned below. It is advisable to gather certificates and documents – such as Aadhaar card, class 12 certificate if available, class 10 mark sheet, class 10 certificate, caste certificate or the applicability thereof – before proceeding to fill application form of JEE Main 2018. You will get complete details of photograph and signature specification when form releases. 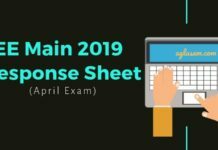 Step 1 – Reach JEE Main 2018 Application Form on the official website. In order to do that, you can click on the apply online link on this page (which will be available when CBSE releases form). It will lead to ap portal which will look as displayed below. 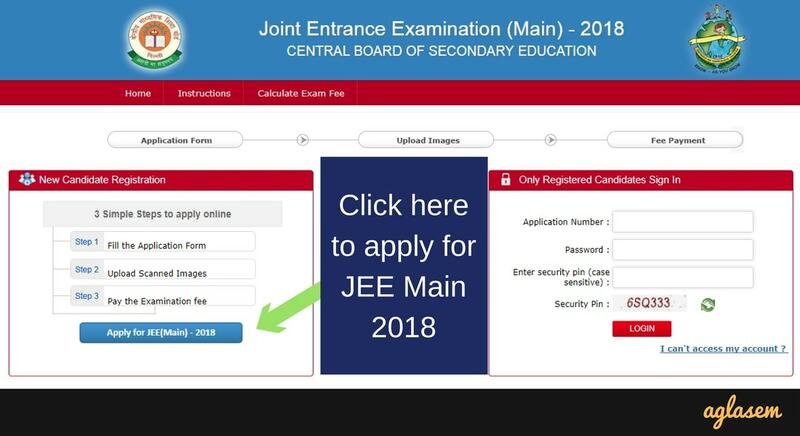 Step 2 – JEE Main 2018 Registration – Before accessing the application form of JEE Main, the candidates will have to register online. Candidates need to submit following details in order to register. Step 3 – Enter details in JEE Main 2018 Application Form. You will fill details such as exam papers applying for, mode of exam, exam center choices, question paper medium, category, class 10 passing year, class 12 year, school and board. Also, you will enter the mailing address, guardian information. Step 4 – Upload images. Now you will upload photograph and signature. Step 5 – Pay application fees. This, you can do in modes available. Step 6 – Book test slot. If there is the online exam of JEE Main like last year then you will also book test slot while filling JEE Main 2018 Application Form. Step 7 – Submit the form and download acknowledgment sheet. This completes the process of submission of application form of JEE Main 2018. The candidates can check common queries about JEE Main Application Form 2018 and Aadhaar Requirement from below. Q. 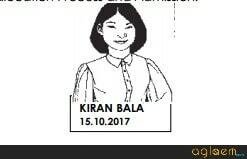 The image that I have uploaded in the JEE Main application form does not contain my name on it. What should I do now? A. Need not worry, when the correction facility will open then you may upload the correct image. However, CBSE has clearly mentioned that the form will not be rejected if the image does not have name on it. But still candidates should use the correction window to upload the correct image. Q. 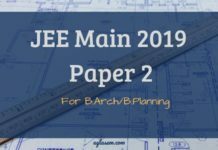 Do I need to submit two JEE Main Application Form 2018 in order to apply for Paper 1 and 2? A. No, candidates need not submit two separate application form. From a single application, they can apply for both the Papers. However, the candidates need to pay the fee amount for both. Q. I do not possess a Aadhaar Card. How do I apply now? A. Worry not. Apply for Aadhaar Card as soon as possible. You will get an enrollment number in place for enrolling and with the help of the number you may register for JEE Main 2018. Q. I am from Assam / Meghalaya / Jammu and Kashmir. The Government has not issued Aadhaar Card in our state yet. Now, how to apply for JEE Main 2018? A. Candidates from Assam, Meghalaya or J&K can apply on the by submitting details in Passport, Voter ID Card, Ration Card or any other ID card issued by the Govt. Q. My name in Aadhar Card does not match with that in the School Records. Is this an issue? A. Yes, this might harm the candidature. However, do not worry. You just need to submit a correction request at Aadhaar Center. In return to the correction request, the candidates will get a slip. On that slip, a 14 digit enrollment number will be mentioned. Use that number to during JEE Main Registration. CBSE will then match the corrected details on its own. Q. What is the State of Eligibility in the JEE Main Application Form? And what will it be for the candidates of NIOS or those who filled for Improvement or are from Institution Abroad? A. The State of Eligibility is that state from where candidates appear for the qualifying examination. For Improvement Candidate it will be that state from where he/she appeared for the class 12 / equivalent examination. The State of Eligibility for Indian nationals passing the qualifying exam from Institute abroad will be determined as per the permanent address.